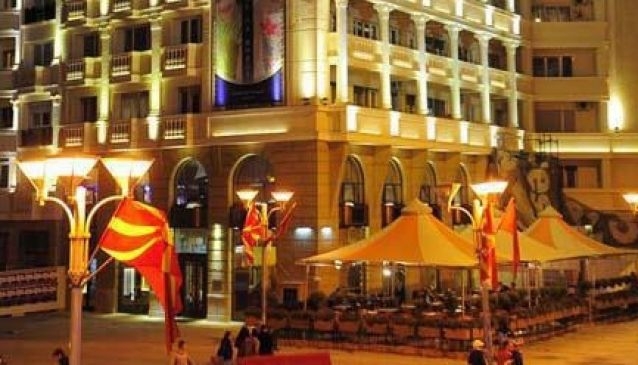 Situated in the heart of the city center, with its high culinary standards, friendly service and relaxing atmosphere, the city restaurant Pelister is synonymous for success in the Macedonian catering industry. The unique combination of the Macedonian and the Mediterranean cuisine, makes restaurant Pelister popular both among the domestic and foreign guests. Pelister has a long standing tradition of serving only the best food made from the best ingredients and the best chefs. This large restaurant is always full and serves as a meeting point for business persons, politicians, celebrities and even teenagers and students. Their menu ranges from home made delicacies to international cuisine specialties, but they are most famous for their pizza and desserts. During the day and especially when the weather is good the restaurant's terrace transforms to one of the best places where you can enjoy a great cup of coffee along with some traditional or international dessert.